Uganda’s President Yoweri Museveni believes going to the university to study a course in Humanities is pointless and therefore advised universities in the east African country to rather focus on teaching science subjects. “You ask these arts students what they can solve and they tell you, ‘for us we only think.’ Think about what?” asked Museveni at Ndejje University, while launching a Shs5 billion ($1.9 million) modern laboratory. But the president is wrong; People who study humanities actually do think. They learn creative thinking that can guide problem solving and hence steer development. “You find many of these people putting on big academic gowns but have no solutions to many of the country’s challenges. 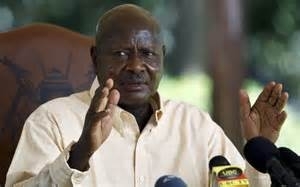 These people have nothing to help us because they offered useless courses,” Museveni, but he is wrong. Courses that teach us creativity and make us learn to to reason about being human and to ask questions about our world has the capability to proffer solutions to any challenge. “The literary imagination,” which comes with the study of humanities, “creates a world of possibilities, and these possibilities are alternative ways of seeing things,” said Northrop Frye, world renowned literary critic, who died in 1991. This attribute is essential for any leader who would steer development. Seeing things in a different way shows mental strength and helps foster growth. According to cut-rice.com, almost 60 percent of U.S. CEOs have degrees in the humanities. Several thought leaders in Africa, who have contributed immensely to socio-economic development of the region also have backgrounds in the humanities. Léopold Sédar Senghor is regarded by many as one of the most important African intellectuals of the 20th century. He is also the most important man in Senegal’s political history. He was a poet. He served as the first president of Senegal for two decades, favouring the maintenance of close ties with France and the western world despite the popularity of anti-Western ideology at the time. Many still see this as a contributing factor to Senegal’s political stability. The West African country remains one of the few African nations never to have had a coup, and always to have had a peaceful transfer of power. Senghor died in 2001 but his legacies live on. He studied French Grammar. Wole Soyinka became the first African to win the Nobel Prize in Literature in 1986. Soyinka took an active role in Nigeria’s political history and its independence struggle, ending up in detention several times for his critical views on how things should be done the right way. He remains one of Africa’s most respected men globally. Same can be said of Chinua Achebe, another literary giant, whose works are respected worldwide. He got a scholarship to study Medicine at the first university in Nigeria, University College (now University of Ibadan), but after a year, Achebe’s love for the Humanities made him change from Medicine to English, history, and theology. He died in 2013 a fulfilled man in his field, who has impacted his generation and generations yet unborn. Lloyd Blankfein studied history as a young scholar at Harvard, but he went on to become the CEO of Goldman Sachs and one of the wealthiest people in the world. Stewart Butterfield, the co-founder of Flickr — an online photo-sharing platform acquired by Yahoo for about $35 million holds both a Bachelor’s and Master’s degree in Philosophy. He did not study Computer Science, yet he is one of the world’s younger tech millonaires. Carly Fiorina‘s Medevial History and Philosophy background wouldn’t make her strike anyone as someone who would head a global tech company, but Fiorina was CEO of Hewlett-Packard Company for five years and is credited with the HP-Compaq merger, which made the company the world’s largest personal computer manufacturer by units shipped. This infrographic; The Humanities Matter offers more insight and showed evidence that Humanities matter. A stereotyped view of humanities as a pointless field of study need to be changed and Africa needs to start investing more in the humanites. Our challenges as a continent will get faster solutions if we pool resources from the bank of thoughts these creative minds in humanities can offer us.